Thank you for visiting the blog for Sjölunden, the Swedish Language Village. Subscribe here to receive notification of blog updates by email. Lördag den 18 augusti 2018: The Final Closing Program! 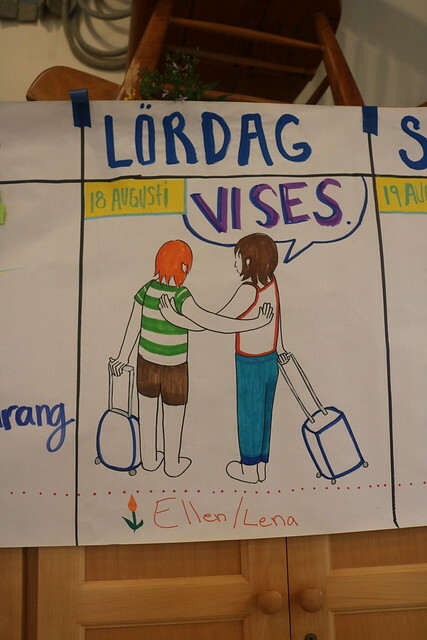 Saturday was our final closing program of 2018 and time for us to say “vi ses!” At Sjölunden we don’t say “hej då” (goodbye) because we know that we’ll see everyone again in some sort of context, whether that be as a camper, counselor, or visitor. 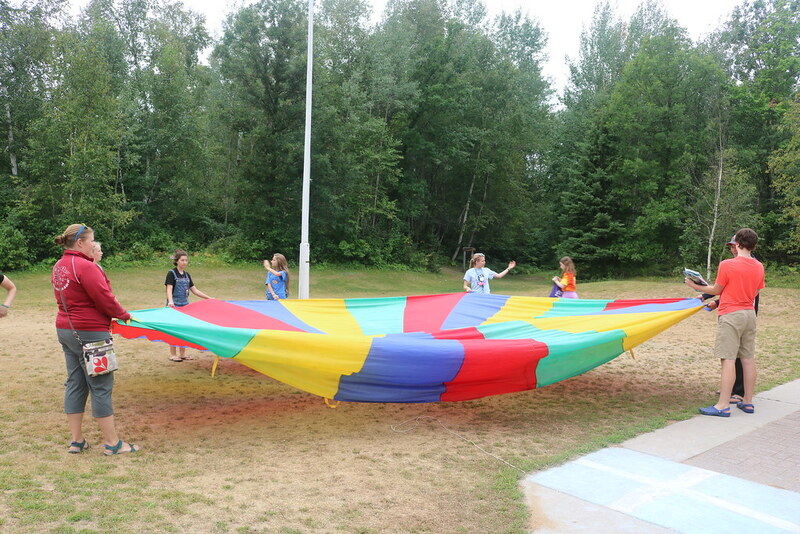 Instead we say “vi ses,” which means “we’ll see you later!” Before the parents arrived, we made sure to have some fun playing with our parachute! Slowly, parents began to trickle in and they had the opportunity to learn some Swedish when they arrived. One thing we do during closing programs is have a mini version of språkgrupper so parents can see what their children experience during their time at Sjölunden. 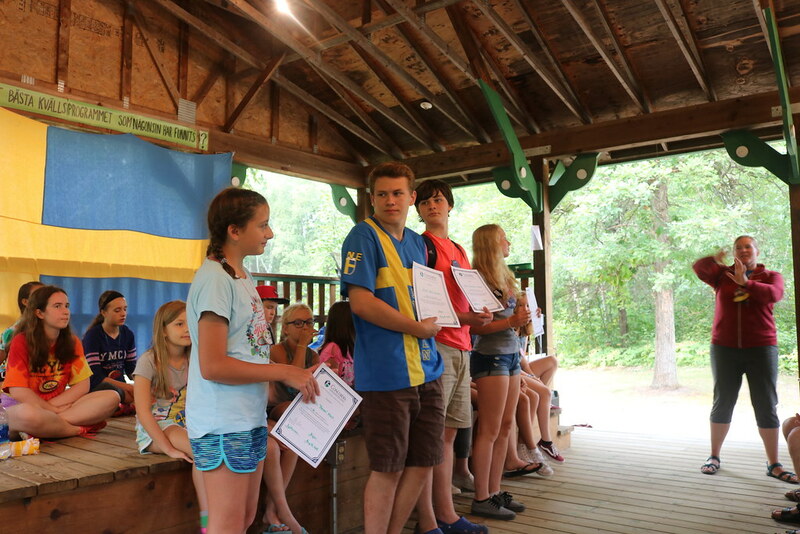 After the minispråkgrupper everyone returns to the dansbana for some singing and presentations by both campers and counselors about their experience at Sjölunden this summer. 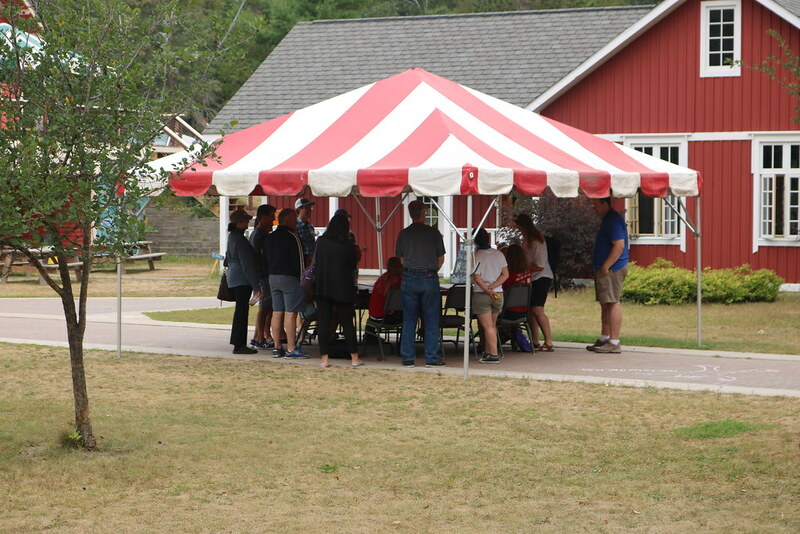 Unfortunately, the summer can’t last forever so eventually campers had to leave :( However, we know they’ll be back!! Vi ses i 2019! Be sure to click through the whole album! Fredag den 17 augusti 2018: Restaurangkväll! Torsdag den 16 augusti 2018: Blå och gul dag! Onsdag den 15 augusti 2018: Jul!